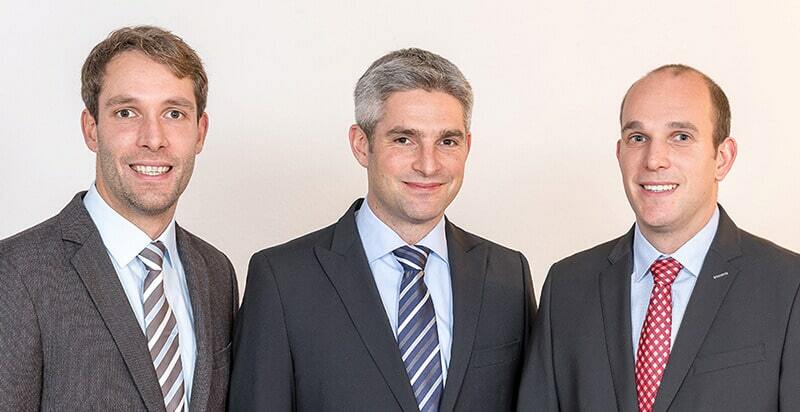 From the 1st of January 2018, the brothers Werner, Christian and Martin Hartmann will be taking over the executive management of Hartmann Valves GmbH as the third generation. In so doing they are superseding their mother Ute Hartmann, the managing company owner, and also Carsten Braun, the technical managing director. Both had stepped into the company in 2008 after the death of the father. Founded by the grandfather Werner Hartmann senior in 1946, Hartmann Valves has developed into an international system provider for special ball valves and wellheads and today employs 150 people at the German Celle and Burgdorf-Ehlershausen sites. The three oldest Hartmann sons, who are studied mechanical engineers, have been familiar with the technology and the business procedures of the valve manufacturer since their childhoods and were taking on their first projects even as school pupils and students. They gathered several years experience in the sector and gradually began their official careers at Hartmann Valves GmbH from 2012. For business operations, the areas of responsibility are divided under the new managing directors as follows: Werner Hartmann (37), previously sales manager, takes over global sales and marketing, service and quality assurance. Christian Hartmann (36), previously purchasing manager, is now also accountable for the areas of design, research & development as well as administration. Martin Hartmann (33), previously logistics manager, coordinates the individual departments in the area of production & logistics. Strategic management tasks will be assumed jointly by the brothers. “In close agreement with each other over recent years we have already been able to initiate and successfully implement process optimization and projects throughout the company. These will continue to be strengthened within the scope of the joint company leadership in order to align the company ideally for the future”, says the new managing director Werner Hartmann. “By taking this step we want to conclude the generation change and now look forward to being able to hand over the reins of office. The new managing directors have been intensively prepared for their assignment and enjoy our utmost confidence. Mr. Braun and I will continue to be available in a consulting capacity”, says Ute Hartmann. From 2018 Carsten Braun will join EXaL Technology and thus will also be cooperating closely in the future with Hartmann Valves GmbH.